This is the first album of famous Japanese singer-songwritter YUI. The album title, From Me to You's message is Kono uta subete, kimi ni (この歌すべて、君に), which means All of These Songs, to You in English. This album has moderate success that debuted in number 4 at Oricon chart. But this album charted for 121 weeks, that it more than 2 years. This album return to Top 20 Oricon's chart due to promotion of her 5th single Good-bye Days and also the movie Taiyou no Uta with her as main actress. This album sold more than 260,000 copies. 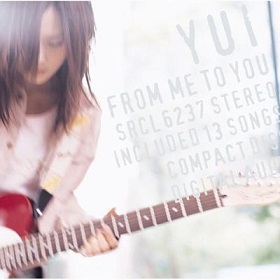 All of the songs of this album are written by YUI.